Read on to find the best climbing harness for your next adventure. Are you in the market for the best climbing harness? Today we are going to go over some of the best climbing harnesses that you can get your hands on. To the untrained eye, you may think that all harnesses are made alike. In fact, it is quite the opposite. When you are shopping for the best climbing harness there are several things that you need to consider. From the season you will be hiking in, to the type of hiking you will be doing. There are different constructions and designs that each harness is centered around. Before you head out to do some of the best rockilimbing the U.S. has to offer, know these differences so that you can get the right gear for you. Here Are Our Picks for the Best Climbing Harness. When you are shopping for the best climbing harness, there are several features that you want to keep an eye out for. Not all climbing harnesses are made alike. For some climbers, comfort is what is valued over everything else. For others, durability is the main selling point. Here are some of the most common climbing harness features that you should consider when you set out to buy you your harness. The best climbing harnesses are the ones that come with plenty of buckles. 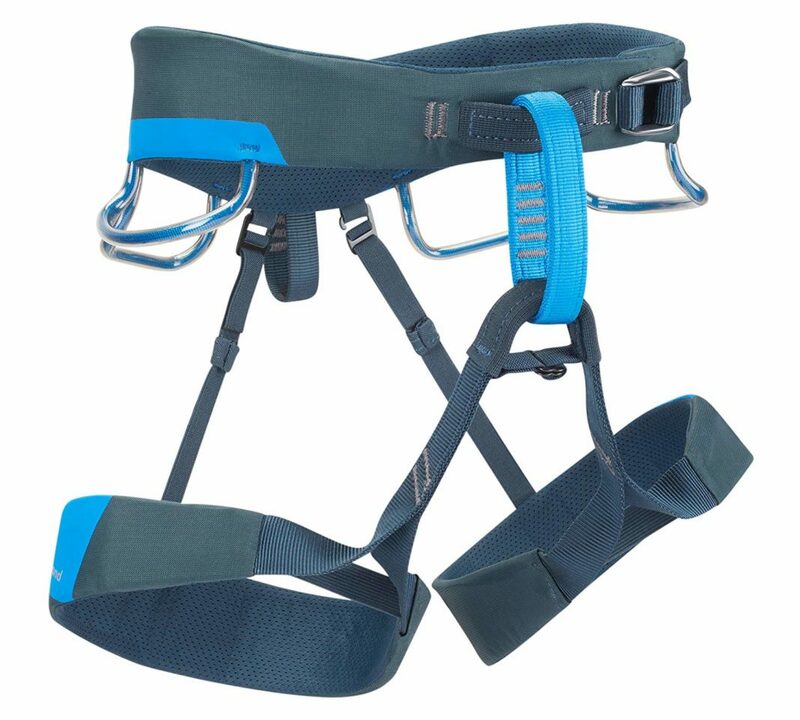 Buckles will help you customize your climbing harness so that it is the perfect for you. Often times, there is a buckle on the waistband. But there are certain models that also offer buckles on the leg loops as well. A general rule of thumb is that the more buckles there are, the more ease of access you have when you put on and take off the harness. Gear loops are the major feature in many harnesses. The primary function of gear loops is to help you carry any of your hiking gear that you may be traveling with. Some of the most functional uses for your gear loop is carrying small items. Such items include linkable water bottles, cameras, and small bags. For extreme hikers, it is not uncommon to use your gear Loops to attach additional climbing rope. 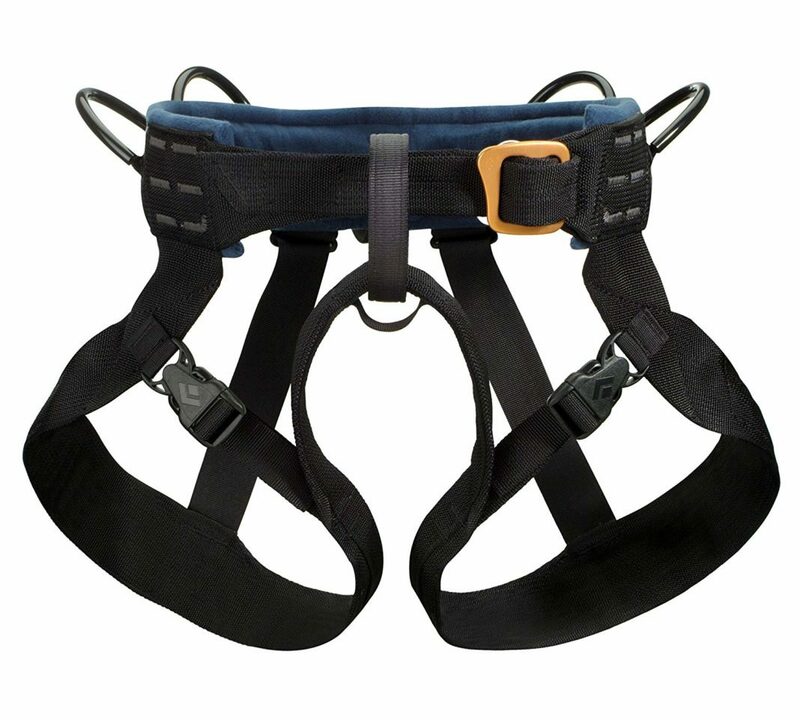 Depending on the size standards, your harness may come with 4 gear loops or 2 gear loops. Leg Loops are another major feature in many harnesses that they are almost standard. Leg loops are two straps that attach to each leg for additional support. Generally, you will find that leg loops tend to be padded so that they can provide additional comfort. Not only that, but you may find buckles on your leg loops for ease of access. In many harnesses, you will find a small attachment point that is located at the back of the waist belt. This is typically where you can string through a rope for trailing as you climb. A haul loop is ideal for keeping your trailing rope out of your way when you are climbing. Much like a gear loop, a haul loop is not structural. This means that it should never be used as the main attachment point to your rock. Finally, if for no other use, a haul loop can also be a great way too attached a small chalk bag to. You will find that in many harnesses there are rear risers. 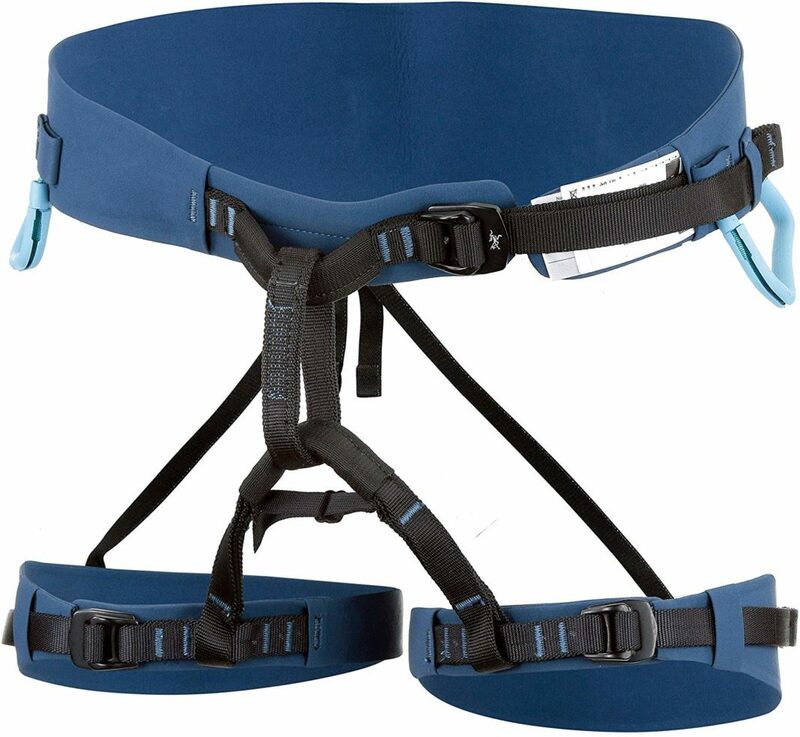 Rear risers are a strip of elastic webbing that will typically connect the two leg loops to the back of the waist on your harness. You can typically adjust the link to help alter the way your harness fits on you. Most times, the rear risers are detachable usually with a buckle or a metal hook. Detaching the rear risers allows your leg loops to be removed while you are tied at the waist. This can be convenient if you need to take off the harness without taking it off entirely. A belay loop is a loop of webbing at the focal point when you are belaying a climbing partner. The webbing is always often high strength because you will need to count on it when you are climbing. Typically, the belay loop is vertically-oriented. The vertical orientation allows for smooth belaying. Not only that but the vertical orientation helps you to belay in the right direction. With many models, there is a unique safety feature to let you know that your harness is slowly getting worn out. You will typically find a safety marker engrained inside the belay loop. Once you begin to visually see this marker that means it is time to swap out your harness for a new one. 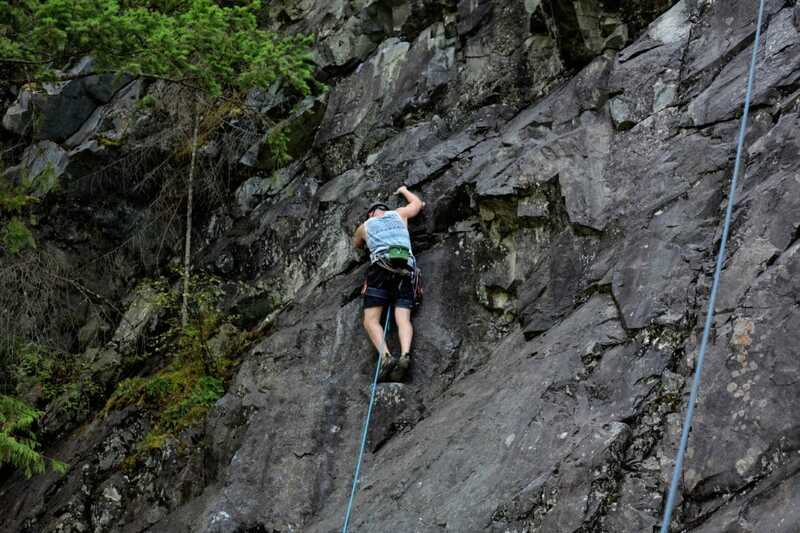 A qestion that you will want to ask yourself before you begin your search is what type of climbing will you be doing? When you are able to determine the type of climbing you will be doing you will be able to figure out what you need your harness to do for you. For example, if you are going to be participating in rigorous climbing that requires high endurance, then you will want the best climbing harness that will rise up to the occasion. In that case, harnesses that feature optimal comfort and support will be the place where you want to start your search. 2. How Much Are You Willing to Spend? When you are shopping for the best climbing harness for you, you will want to consider how much you are willing to spend. Harnesses come in all different shapes and sizes. This means that the price points do as well. The best way to figure out how much you should be spending is by figuring out what you need your harness to do for you. 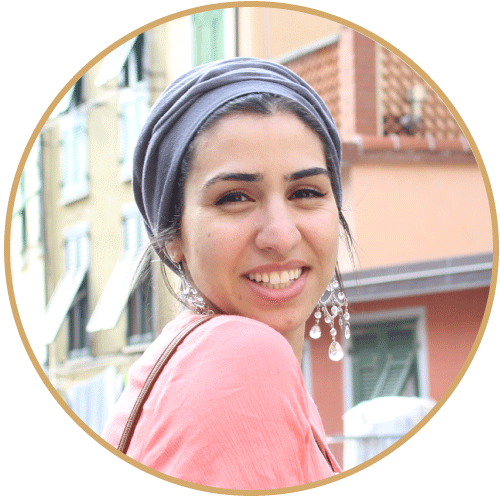 That way you spend less money on unnecessary features and more money on features that will help you throughout your travels. With the wide range of harnesses on the market today, the best climbing harness for you is the one that fits your style. Take your pick of sporty looking harnesses that are perfect for the outdoor explorer. If you prefer something a little bit more subtle in fashion, there are plenty of casual harnesses for you to choose from as well. Figuring out the style that best fits your needs is a great place to start when you question how to pick the best climbing harness for you. 1. What Season Will You Be Climbing In? The season that you will be hiking does play in a role as far as what type of harness you should be purchasing. There are all different types of harness constructions specifically designed with the seasons in mind. For example, there are "all round" harnesses. These have good support and breathable foam that allow you to use them all year round. During the winter months, you may want to specifically shop for closed cell foam harnesses. These type of harnesses do not absorb moisture and do not freeze. When you are shopping for the best climbing harness, one thing that you might want to keep in mind is the padding. You can generally find padding around the waistline as well as the leg loops. With some harnesses, the padding is of the utmost importance. Because of this, some harnesses will have ample padding on the waistline and the leg loops. If you are looking for more of a moderate amount of padding then there are waistline padding only harnesses. Finally, there are plenty of harnesses that do not put padding as a priority. In that case, you may want to stick more towards harnesses that offer minimum mesh comfort and are constructed with more of a nylon influence. You will want to consider how adjustable you want your harness to be. Some harnesses offer buckles throughout the harness. Other harnesses offer buckles just on the waist. Knowing how accessible you want your harness to be will help you narrow down the design and style as far as buckles go. When it comes to versatility, you need to consider what type of hiking and climbing you will be doing. Are you going to be engaging in climbing that will require you to move around a lot? Or will your climbing require less exertion from you? Knowing the versatility of your harness will help you figure out if your harness is up for the challenge that you are going to put it through. For the most part, you will find that most harnesses are reasonably priced. When you are shopping for the best climbing harness, you will usually get what you pay for. Higher end models tend to offer more features like versatility, comfort, and accessibility. The opposite is true for harnesses that are priced at lower price ranges. To figure out what the best climbing harness is for you is, you will first want to consider your needs. Based on what you will need your harness to do for you will determine what features you need to focus on. This, in turn, will help you focus on where your price range should fall. If you are in the market for one of the best climbing harness, then the Petzl Sama Climbing Harness is a harness that you should not ignore. What makes this one of the best climbing harness is the fact that it is so stylish. 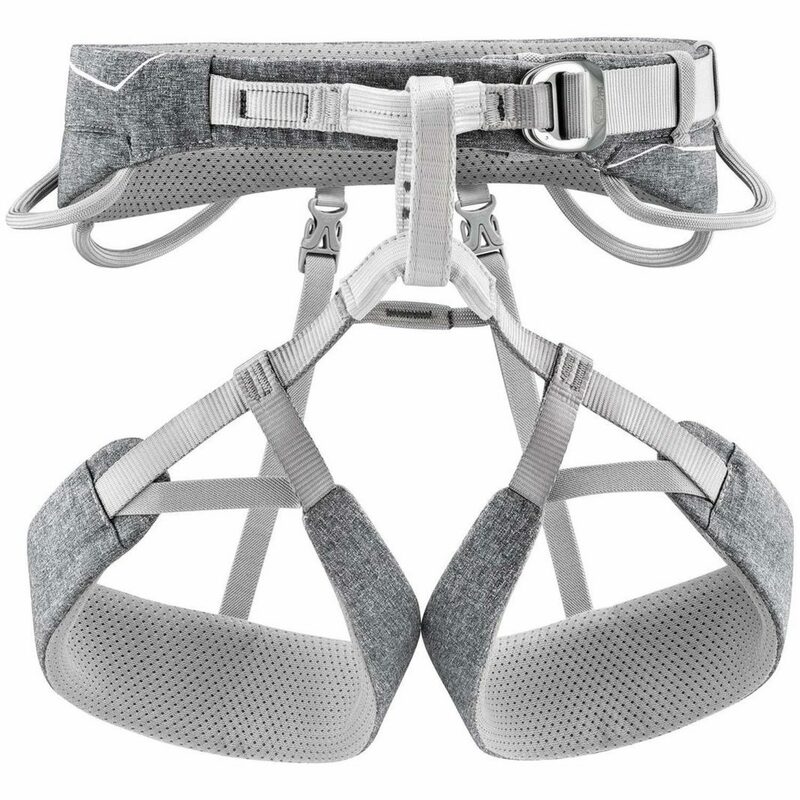 The gray nylon and polyester blend gives this harness a great casual look. For climbers who do not like the "sporty look" of many harnesses, you can enjoy the fact that this harness does away with that look. When it comes to the practicality and ease of use, this harness delivers. For starters, the material used offers a great cushion of comfort. The padded waist belt and padded leg loops provide not only maximum comfort but maximum mobility too. Along with that, travelers appreciate the wide waist belt that provides additional support and comfort. Climbers who are hiking with gear will love that the equipment loop will make carrying your gear a breeze. Two rigid equipment loops in front for easy clipping and unclipping of quickdraws. Two rear equipment loops are flexible, for bringing gear to the front and for comfort when carrying a backpack. One rear loop for trail line. ENDOFRAME Technology construction allows for excellent weight distribution. Padded waistband and leg loops for a very comfortable and snug fit. Material(s): nylon, polyester, EVA, polyurethane, aluminum, high-modulus polyethylene. Certification(s): CE EN 12277 type C, UIAA. Flexible waistband that is slimmer in the front. This next harness falls under the list of the best climbing harness because it is backed by a trusted brand. 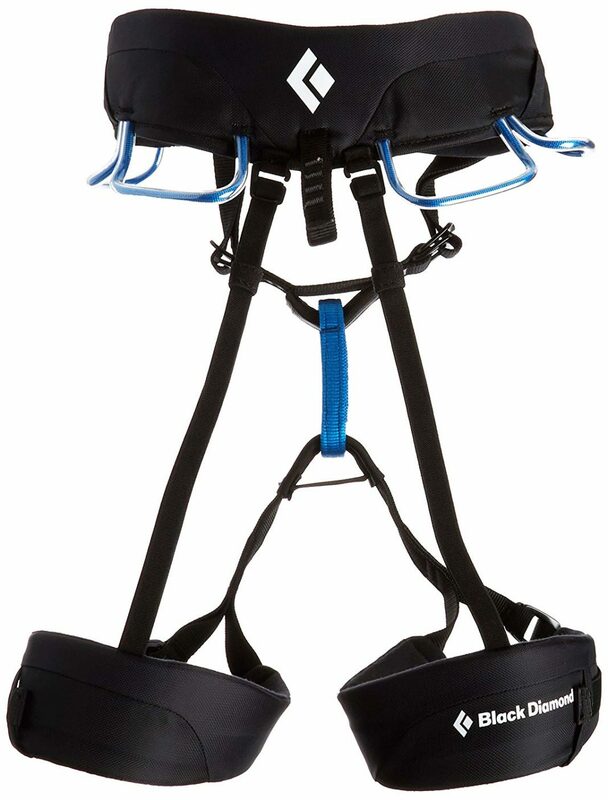 For starters, the Petzel Aquila Climbing Harness has such a great look to it. Along with that, the support it provides is unmatched. The wide waistbelt is great if you are looking for a harness that will adjust easily. The fact that it can fit a range of sizes is one of the reasons that make the best climbing harness around. For climbers who like the ease of access, you will enjoy this next feature. The leg loops easily clip on and off for quick wear. Not only that, but the waist and leg loops provide persine comfort due to the mesh padding. Additionally, what makes this the best climbing harness is that fact that you can pack along your gear fairly easily. There are four gear bucks that will allow you to store your gear with ease. Last but not least, this harness is pretty great because the abrasion resistant fabric will ensure that your harness will last you for years to come. You do not have to worry about wear and tear when it comes to one of the best climbing harnesses on the market this season. Wide waistbelt adapts to larger body types for better weight distribution. FUSEFRAME technology offers a thin and supple waistbelt for complete freedom of movement with minimal weight. Flexible two rear equipment loops are perfect for bringing gear to the front and for comfort when carrying a backpack. Waist belt and leg loops equipped with DoubleBack HD buckles in forged aluminum. Talk to any hiking enthusiast and they will tell you that the best climbing harness is without a doubt the Arc'teryx AR-395a Harness. If you ask us, we have got to say that we agree on this judgment. There are many reasons for this agreement. With so many features to offer, it is no wonder why this harness has been the number one choice for so many climbing enthusiasts. For starters, this harness is not only weather resistant but it is windproof too. Although it is nicely insulated, many hikers argue that this is the best climbing harness to use if you are looking for comfort. This is primarily because of the construction. The main material used is a light fleece backer that is incredibly soft when it is against your skin. Not only that, but the way it is constructed and designed is pretty unique too. The construction and design provides almost zero resistance when in use. Not only that, but it has a good grip and has no unnecessary slippage between the material layers. The whole design of this harness was so that it can fit your form for a super comfortable wear. When you put it on, you will be able to immediately feel the quality. When it comes to the top of the line climbing gear, this is the brand that you want to go with. Ergonomic freedom that allows long wearing performance for versatility on both rock and on ice. The AR-395a design reflects hiking gear innovation, comfort and performance converge. WARP STRENGTH TECHNOLOGY - Light weight, comfortable and durable harness construction. Evenly disperses load across width. The Black Diamond brand is known for putting for steller products. One such product is the Black Diamond Vario Speed Harness is a great harness if you are a hiker who has a primary focus is on speed and agility. This harness is incredibly versatile for several reasons. For starters, the primary material used is nylon. This durable material ensures that your harness will stay put no matter how rugged the hike is. Not only that, but the waist features a large quick adjust buckle that makes clipping yourself in a breeze. This waist belt is pre-threaded. Because of that, it does not require double backing. The wide nylon webbing is the primary source of padding you will find. Unfortunately, for some hikers, this is not an ample amount of padding. This may mean that you will find that it might not be the most comfortable harness for you. While it is considered the best climbing harness by some, others have a different reason why they love it. This harness is one of the best when it comes to going to the gym. In fact, if you often find yourself in the need for a gym harness, then this is a great selection to go with. Large Quick-Adjust buckle on waist belt is pre-threaded and doesn't require doubling back. Quick-adjust leg loops means less time fussing and more time climbing. Wide nylon webbing allows durability. This next harness is a great one if you are looking for the best climbing harness that offers accessibility. 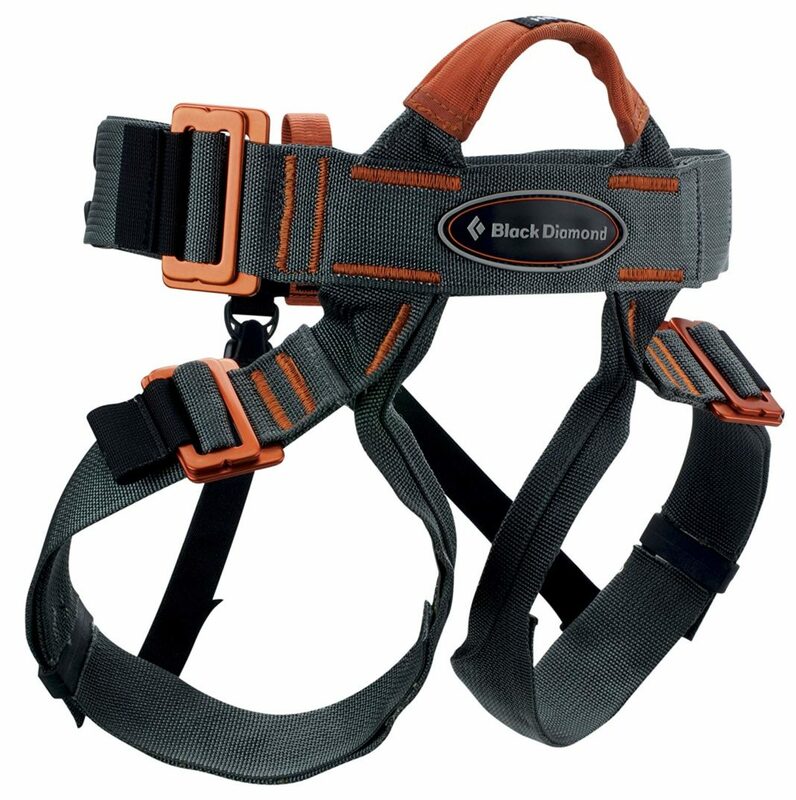 For starters, the Black Diamond Momentum DS Harness offers dual-sided pre-threaded speed adjust buckles on the waist belt as well as the leg loops. These buckles allow you to get in and out of the harness with absolute ease. When it comes to the waist belts, you will be pleasantly surprised. The waist belt features a tall padded bullhorn-shaped waste. The design is also built using Dual Core Construction. This design in the waist belt is what gives you optimum comfort and security when you are out and about. You will also find adjustable elastic rear risers that are also releasable. When it comes to carrying around all your gear, the Black Diamond Brand delivers. This specific model features four pressure molded gear Loops. These pressure molded gear loops are perfect for carrying around hiking gear when you are on your travels. It should be noted that on the XXS and the S sizes, there are only two gear loops available. This is because of size restraints on the weight belt. If you are looking for a great climbing harness, then this is one of the best climbing harnesses to get your hands on. Tall, padded bullhorn-shaped waistbelt built using Dual Core Construction. Releasable elastic rear risers are adjustable. Four gear loops that are pressure molded On XXS and S size, only 2 gear loops available due to size restraints. If you are looking for what some consider to be the best climbing harness, then this is where you will want to start. After all, this is a harness that is put forth by one of the most trusted brands. Fair amount of padding in waistline for optimal comfort. Synchilla polyester fleece provides an ample amount of comfort and moisture wicking. Quick-release leg loops provide easy in and out access when climbing. Four gear loops allow you to keep your gear organized at all times. Super strong aluminum double pass buckle that doubles as being lightweight. Next, you will find four pressure molded gear loops. These loops are great for holding slings, a camera, a small pack or bag, and other small devices that you may find yourself traveling with whey you go on a hike. 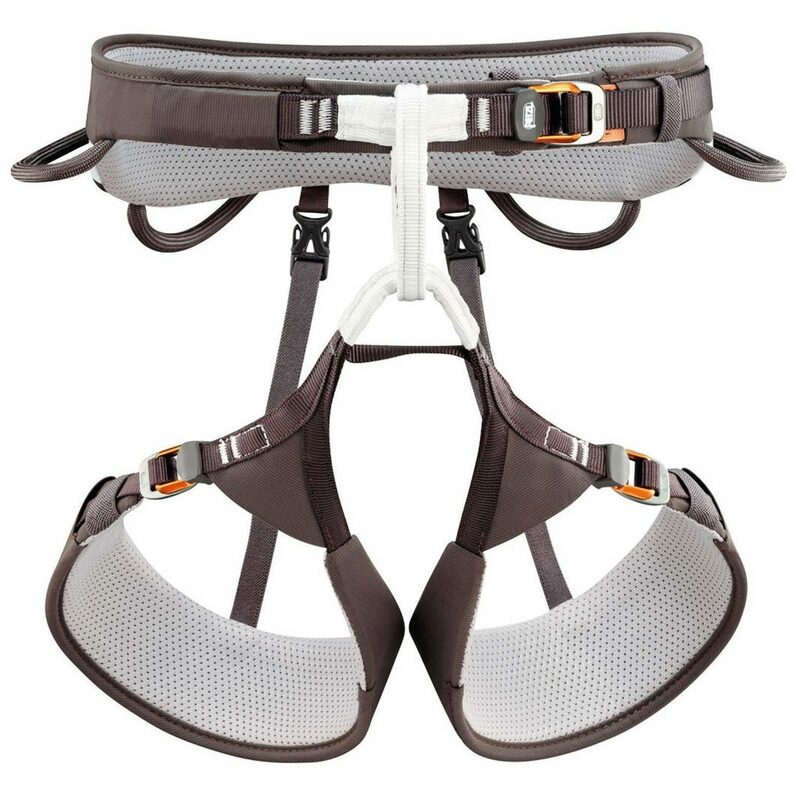 The unique construction that has gone into making this harness has enabled some travelers to call this the best climbing harness on the market right now. It is no surprise why. The construction of this harness has enabled it to be an incredibly lightweight harness that can withstand long journeys with ease. Four pressure molded gear loops. Slight larger pressure molded gear loops in the the front. Waistbelt and leg loops both offer an abrasion resistant shell. This shell has a soft, padded 3D mesh interior. Bullhorn-shaped waistbelt built using Kinetic Core Construction. Pre-threaded Forged Speed Adjust waistbelt buckle. Built to withstand long and enduring hikes and climbs. Check out these other travel products and tips for all your climbing needs. Don't get stuck when you go out to get your climbing gear. Be sure to know the different constructions and designs of each harness and what it has to offer before you settle on a purchase. Doing so will ensure that you get the best harness to meet your needs.